While I’m not an enormous fan of Baldwin or his podcast (his tone isn’t exactly pleasant, and he has a tendency to ask less than respectful questions), I listened to this particular episode after it was suggested to me by multiple friends. And—papa can you hear me—it delivered. The two most eyebrow-raising moments came about halfway into the interview, during a discussion of her teenage years in New York City. 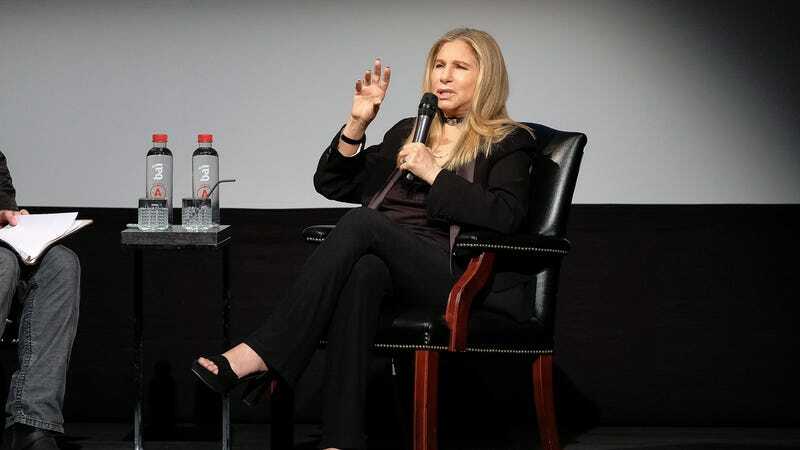 Streisand was certain she would eventually be a superstar, and rejected her parents when they suggested a different career path. This is exactly the kind of bizarre, self-aggrandizing story you want from Barbra, from its out-of-touch phrasing (what does it mean to not have enough money “in a sense”?!?) to the fact that she’s absolutely mystified by her face-covering. “How do you figure that?” she asks after finishing the story. “That’s something I can’t explain.” I just love how bewildered she is by her own life.